The iconic Irish mythical hero, Cú Chulainn, had the ability to morph from a man into a warrior of virtual super human abilities. This change was known in Irish as “riastradh”. It involved Cú Chulainn becoming enshrouded in a red mist with his body becoming intensely contorted. The image of a transforming red mist has been used in a number of cultures to evoke similar heroic concepts. The modern term “seeing red” is an adaptation of this concept. When the legendary Teelin fiddle player Con Cassidy was once asked at what age was it ideal for a player to begin learning or if it was necessary for a fiddler to start very young as a pre-requisite to becoming a great fiddler, his response was simply “the best time for someone to start playing is when they find themselves in the red mist”. By this he meant it did not matter when a person started to play; what was most important was the degree of passion you harboured for the tradition. The word for mist in the Irish language is “ceo”. 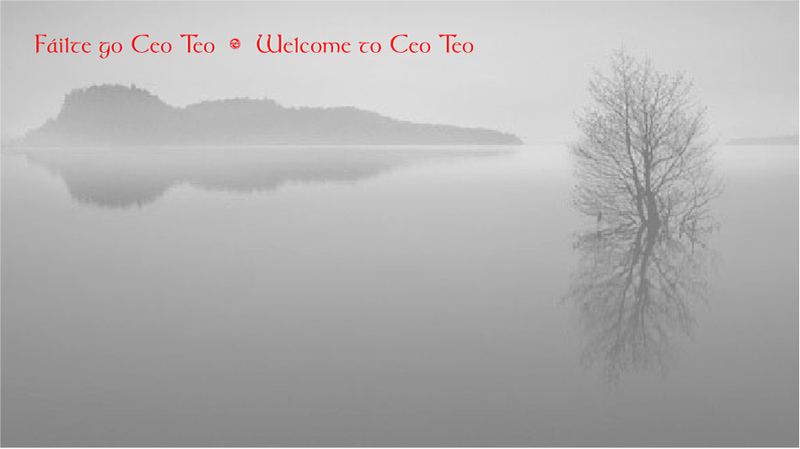 Ceo Teoranta is a publishing house for traditional fiddle music mainly from County Donegal. The company has been active in the researching and subsequent publishing of Donegal Fiddle music for almost four decades now.